Well, what is one of the features you don’t want to compromise while buying a Smartphone? No doubt, along with other features, camera is the one most of the people won’t compromise with. Most people are obsessed with the megapixel that the camera provides. Smartphone cameras are, no doubt, getting better every passing year. People prefers camera phone because of its handy feature over the bulky DSLR. It can easily fit into the pocket and you can carry 24/7 with you. So you don’t need to get prepared to capture a moment. You can click anytime you want. It’s easy to carry feature has changed the notion of traditional photography. We all are aware how to capture photos but some point we should keep in mind for a better photography. The first and foremost thing one should be aware of the settings of the camera provided by the individual’s smartphone. Every phone has got some basic settings but some of the features may vary from phone to phones. Don’t rely on your phone’s auto mode. You should be able control the focus, exposure, white balance and ISO for your phone. Take the time to learn when it uses high ISOs, when it uses long shutter speeds, and adjust how you take photos accordingly. Depending on the focus, you can change the lighting of the photo. Some camera locks both the exposure and focus together. You can set the white balance and for better photographs you can match them according to the environment you are shooting to light up your photos. 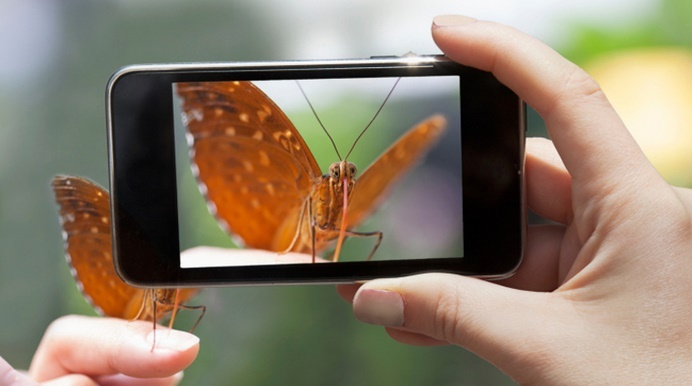 Be sure to keep your smartphone’s camera lens clean. You may need to carefully clean it if it’s picked up dirt and smudges. Try to avoid putting your phone in your pocket along with keys, coins, and other objects that could potentially scratch the lens. How resilient your phone’s camera lens is depends on the type of material it’s made of. Focus is one of the most important aspects for better photography. You should adjust your focus accordingly to capture your subject perfectly. Before clicking a photo, you should focus the content on your screen. You can touch the part of the scene on your screen and your camera will focus on that part. Digital zoom is really more like performing a crop. When you zoomed in, the lens physically moved to magnify the image. You’re just cropping a photo before taking it, and you’ll lose detail you could pick up by moving closer to the thing you’re photographing. Though sometimes you’ll want to use digital zoom anyway like maybe you’re taking a quick photo of something and you don’t care about the detail. Just keep in mind that digital zoom is the same thing as cropping, so try to avoid zoom if possible. Rather than using your camera’s flash, use normal environment light to capture your photographs. Flash usually isn’t helpful, especially if you don’t know what you’re doing. The bright light of a camera’s flash can illuminate an area and capture an image of something dark, but that’s not necessarily a good thing. Sometimes though, this might be good if you need to get detailed images of a crime scene at night, but you probably don’t just care about accurately documenting every detail. You’re probably trying to capture a photo that looks more like what you’re seeing at the moment. Selfies are new trends now! Lot of people try to capture the Selfies with their front cams, but that’s all well-and-good for silly Selfies. Smartphone manufacturers generally include better, higher-detail cameras on the back of the phone. Just taking a photo with your smartphone’s rear camera instead of its front camera can get you a better picture. Key for reduced blur picture is to know how to hold a smartphone camera in a stable way. Moving your elbows into the sides of your body can give a bit of extra stability where needed or also physically resting the smartphone on a stable object could provide with stability If you want perfect stability, it is possible to get a tripod attachment that you can slot your smartphone into. When shooting photos or videos, the angle in which it is captured describes the pictures. Sometimes when you capture your image from top angle, it might look gentle and go along whereas capturing image from bottom angle might make it look loud and dominating. Try to match the height of the subject, such as kneeling on the ground to snap a picture of a toddler. You’ll get better shots when you’re at eye level rather than angling the phone up or down. All the detail and necessary information has been captured, but it may not look as vibrant as you were after, or as sharp, or as beautiful. Final stage of a photo captured with a smartphone from looking truly awesome is the post-processing stage. Just chuck the photo in an editing program on your computer, like Photoshop, or even use an app on the device itself and begin playing around. There are so many apps that provide additional features and controls to your smartphone cams. Check the Google Play Store, App Store or Windows Phone Store on your respective device and look for a standout camera app. Look online to see what people are saying, because there are some gems out there that can add features and controls to the smartphone photography experience.